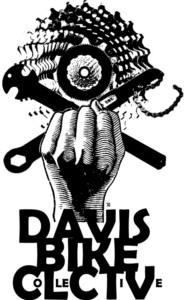 Over the years several different logos have been associated with the Davis Bike Collective and its location. 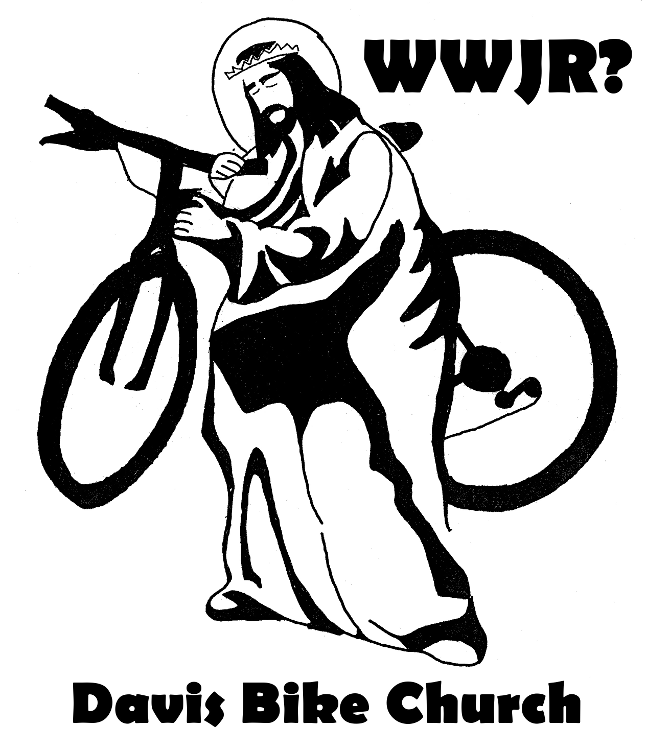 The Davis Bike Collective started out as the Davis Bike Church at the Domes. 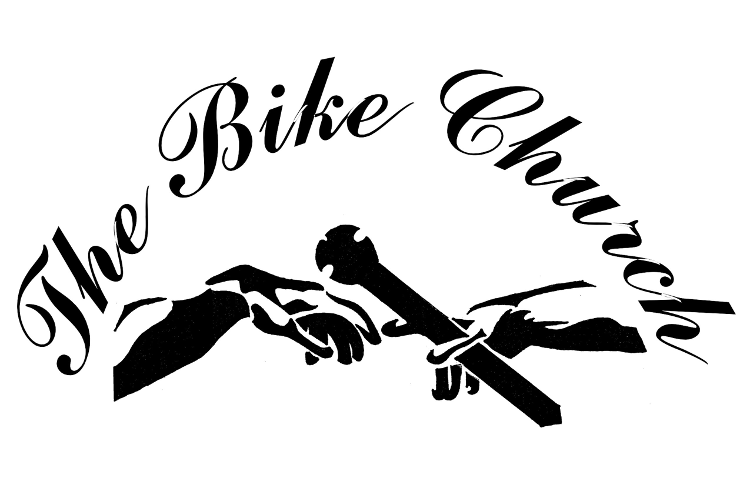 This logo inspired by “The Creation of Adam” at the Sistine Chapel was used for the Bike Church. The color image above doesn’t print well in black and white, nor is it easy to paint onto signs. 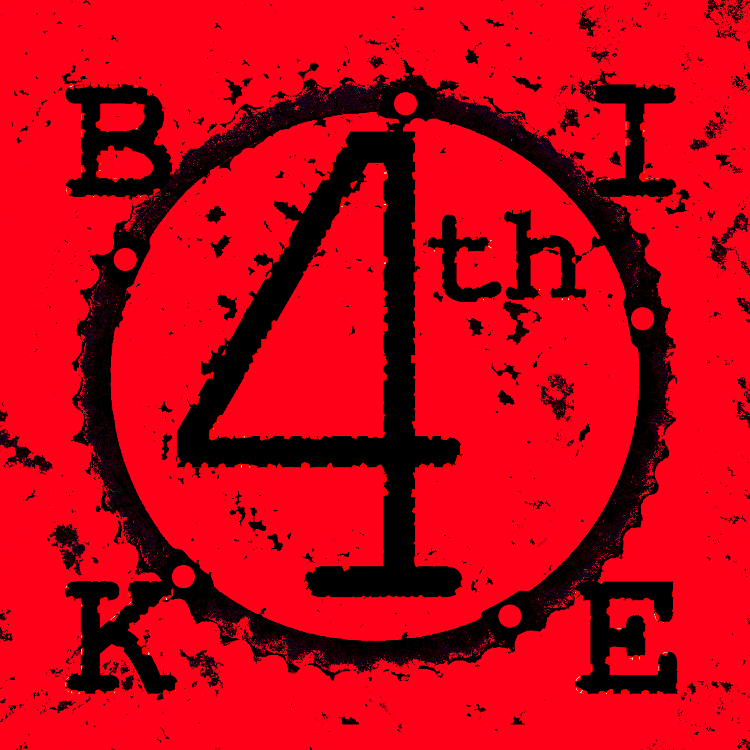 Consequently a monochrome version of the logo was made. A similar version being used for sign painting in 2008 with Sarah posing to the left. When the Davis Bike Church became the Davis Bike Collective, the old logo was adapted and updated. This is the version of the logo on our bylaws signed in 2010. 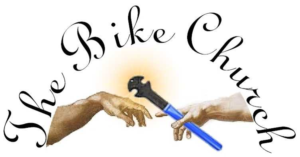 It’s a little complex and some felt it looks like the left hand is being struck with a pedal wrench. 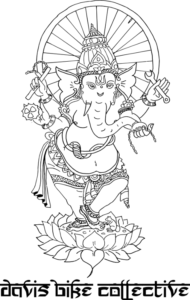 This Ganesh logo was on the back of our old information trifold pamphlet. 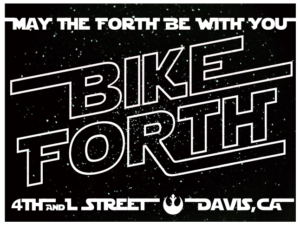 We have a banner with the Sanskrit-like Davis Bike Collective text. 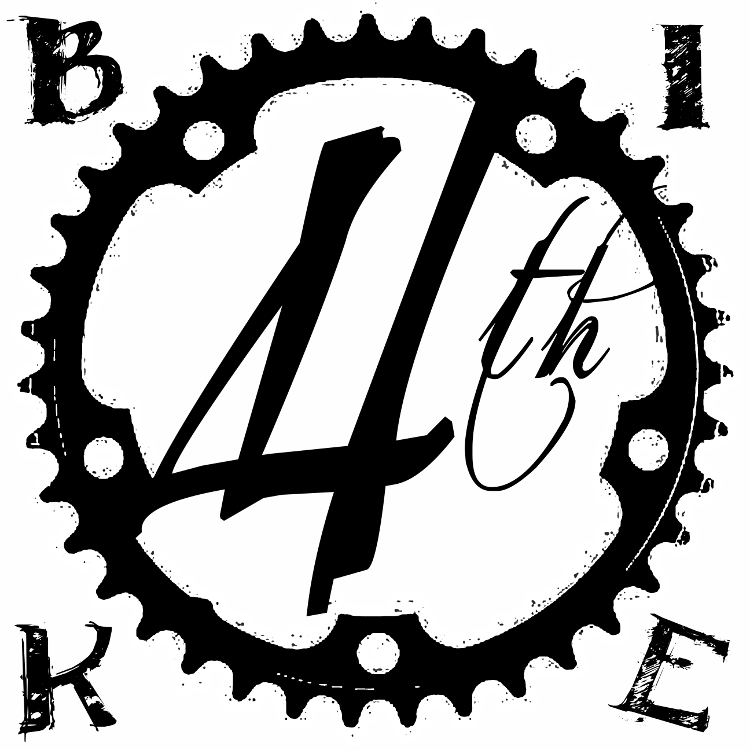 A fist, cassette, chainwhip and pedalwrench logo was designed. This served as our primary organizational logo for events such as Clips of Faith and is on the front of our old informational trifold. 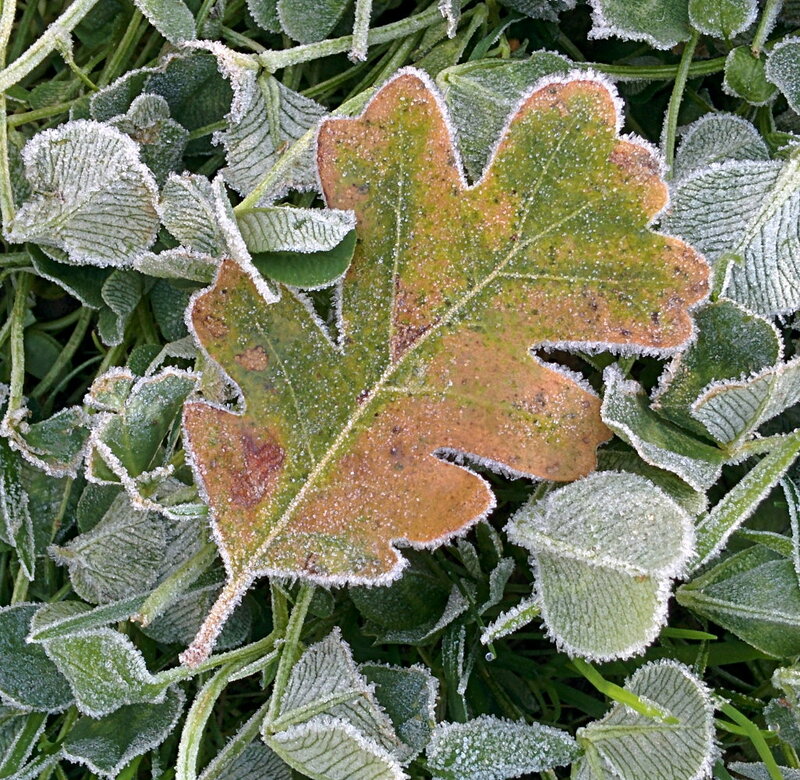 Unfortunately it becomes difficult to see at small sizes and the “collective” text is difficult to discern. It follows the standard theme of bike collective logos: fist for solidarity and empowerment, bike-specific tools for bicycle repair, and cogs/chainrings for bicycle (especially for those who don’t know what those bike-specific tools are). 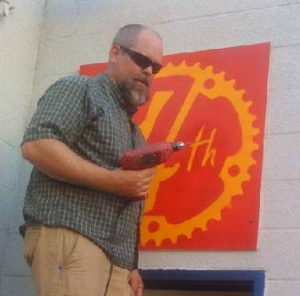 The shop at 4th and L has also had a few logos. This first red one I have only seen used on some stickers. It seems that the red logo was quickly replaced with this more elegant version. 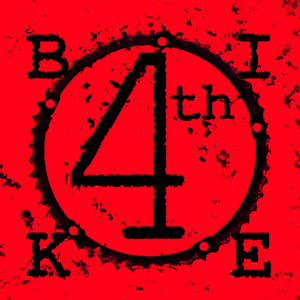 The 4 is distinctive even if the other parts become illegible at smaller sizes. It doesn’t exactly make it clear what we do though. 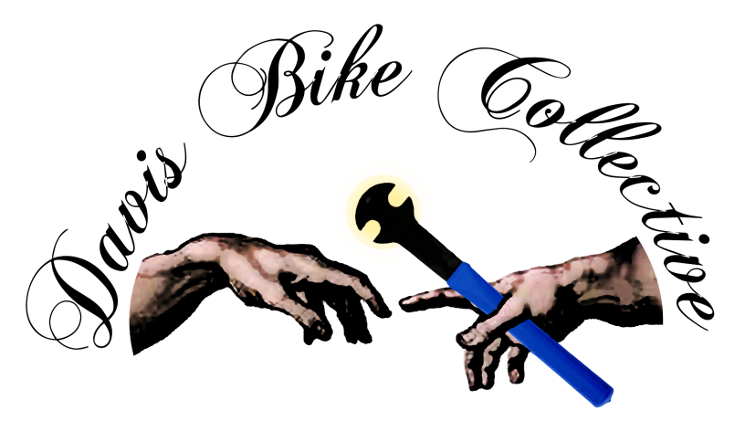 This is the logo that was historically outside the shop. You can see Max installing it here. 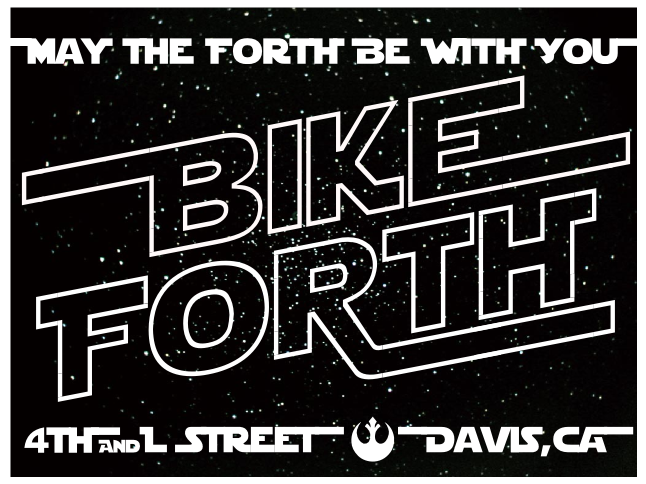 There is also this “May the Forth be with you” image that has been used for stickers and screenprinting on T-shirts. 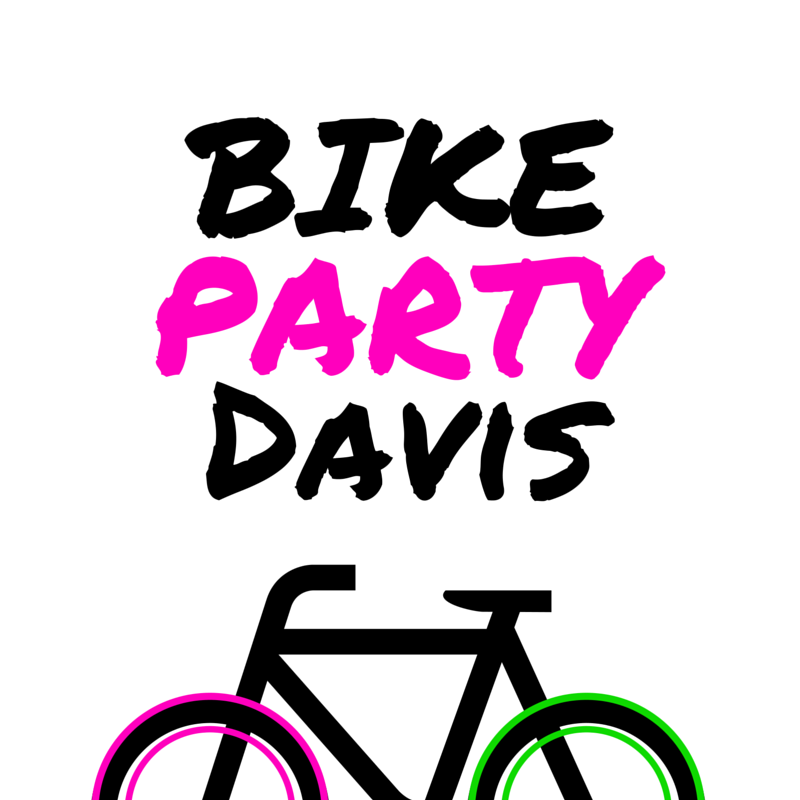 In mid July 2016 the Davis Bike Collective quickly cobbled together this logo to be used for a poster. It’s clean and easy to read at larger sizes, but the text quickly becomes hard to read at smaller sizes. It’s also a bit generic, and it doesn’t make it clear what we do with bicycles. In addition to the logos above, here are a couple more graphics that have been used for printing stickers. 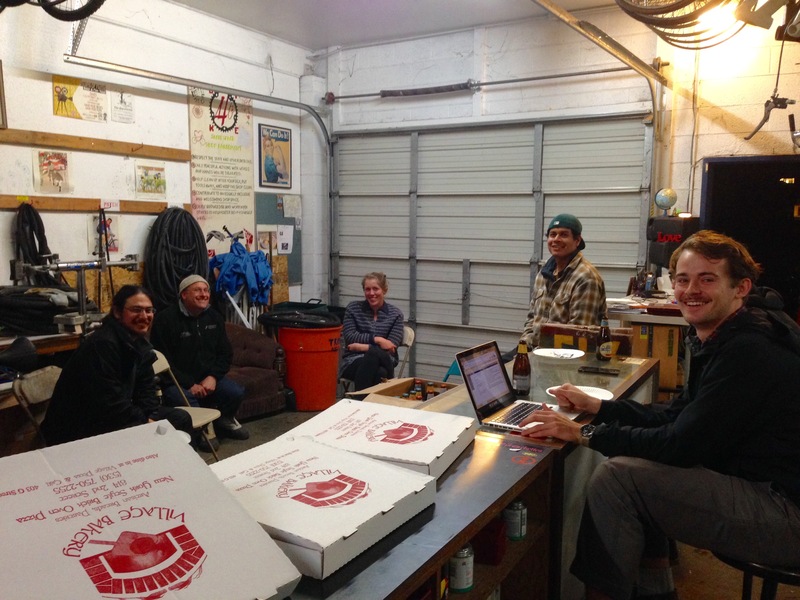 Check out these upcoming events at the Collective & other local bike groups!